I could not care less for offline modes....I did not buy this game for that. The story mode died nearly on arrival. (It did not feel finished). And I find flying (even though I am good at it) frustrating as there is too much debris. I do not care about emotes or victory poses. I want modes, maps, guns, heroes and new cards / abilities. SWBF1 had a staggering amount of content in the first year. This has felt like a underdeveloped money grab. Which is weird as it was the number one selling game over Christmas, so why the lack of investment? Anyhoooo. I feel the devs are focusing on the wrong things. Release a mode with more than one or two maps. Extraction would be great on Tatooine and Bespin. Recycle SWBF1 maps and modes, anything is better than nothing. There is no real content on that roadmap. Devs, get help from the community. Let the modders etc. help if you are undermanned. To my fellow gamers, be constructive...What do you want? Maps are probably the number 1 most important thing that need adding. Porting over a few 2015 maps would add a bit more variety straight away, and then they have a little more time to add more new maps. Obviously modes like Conquest need adding (and it's coming), it better be on most if not all GA maps though otherwise people are going to be mightily annoyed. More Extraction maps are definitely needed, I don't really play more than 4 games back to back so I play once as each faction on each map, then I'll go play something else. More maps would make the mode more popular again. An Imperial Campaign as advertised. Wookiee Enforcers replaced with ARC Troopers and Rebel Commandos. 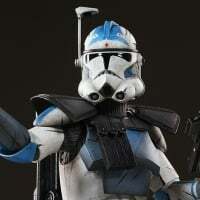 Variety of skin options for Imperials - Shock Trooper?? A staggering amount of content compared to what?